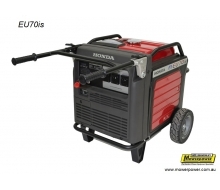 ALL GENERATORS There are	5 products. 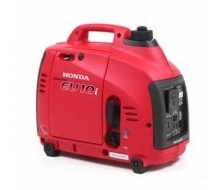 THE EU10i USES HONDA'S ADVANCED 4-STROKE TECHNOLOGY GXH50 ENGINE FOR A MAXIMUM POWER OUTPUT OF 1,000 WATTS AC AND RATED OUTPUT OF 900WATTS, MAKING IT IDEAL FOR A WIDE RANGE OF DOMESTIC AND LEISURE APLICATONS. 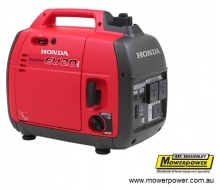 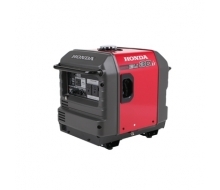 THE EU30is USES HONDA'S ADVANCED FOUR-STROKE GX200 ENGINE FOR A MAXIMUM POWER OUTPUT OF 3,000 WATTS AC AND RATED OUTPUT OF 2,800 WATTS, MAKING IT IDEAL FOR A WIDE VARIETY OF DOMESTIC AND COMMERCIAL APPLIACATIONS.